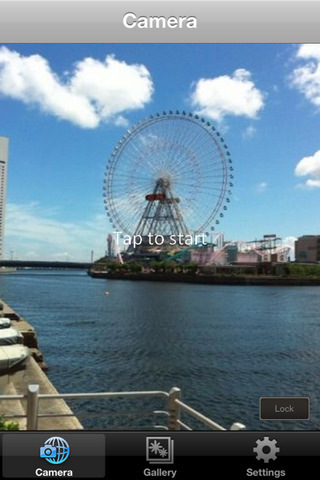 Sfera is a photography app that allows you to take a panoramic picture. The app was developed by Yudo Inc., costs $1.99, is compatible with an iPhone 3GS and iPhone 4 and it requires 4 iOS or later. Sfera is a photography lover’s dream. The app offers an uncomplicated interface: There are very few components in figuring out how to work it. There are only two options in photo settings, which are and on and off switch for both High Quality (why would you turn this one off?) and Sound Recording. Not only can you use Sfera to take a 360° photograph, you can also record audio while doing it. 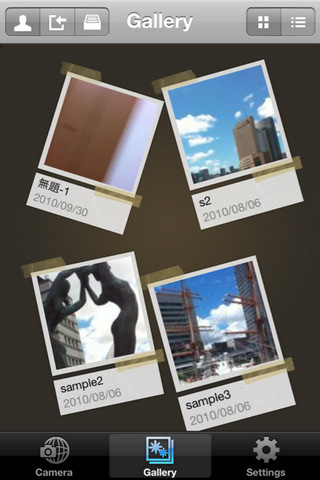 The Gallery comes with 3 samples that provide you with a preview of what exactly the app is capable of. I can think of a thousand ways that this app is useful. If you happen to be on vacation and a particular spot you are standing in takes your breath away, Sfera supplies you with the means to memorialize the sights and sounds. Another, more practical, use can be a way to document the scene of a car accident. To use the app, you hit the Camera button on the bottom of the screen once you are in the shooting position. A thin white line appears through the middle of the screen along with a small white circle, a command Tap to Start, and lock button. When you start the process you have to hold your iPhone steady—keeping the white circle within the white line—as you start moving clockwise in a full circle. At the bottom of the screen there is a percentage that displays how much of the photograph you have taken so far. At any point you can tap the screen again to quit, pause, or resume. You can save your picture to your gallery and from there show it off to friends via email. You can als rename the picture or delete it once it is in the gallery. The picture quality is remarkably clear and at the moment I feel like Sfera is the best thing going on in my life. I hope that is an overstatement, but the truth remains that I love this app and all of its flair. AppSafari review of Sfera was written by Vanessa Paszterko on October 25th, 2010 and categorized under App Store, Art, Fun, Photos, Utilities. Page viewed 5185 times, 1 so far today. Need help on using these apps? Please read the Help Page. This app is just AWESOME !!!! I love it ! !